Pieds de Microphones Il y a 43 produits. 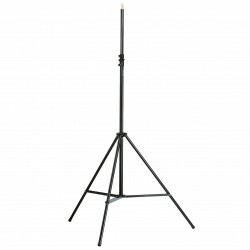 A microphone stand in a two-piece folding design that extends to over 4 m and as such is very suitable for organ and choir recordings. There is an extra safety ring for stability. The extension tube has a 1/2" thread connector. The stand can optionally be combined with boom arm 21231. 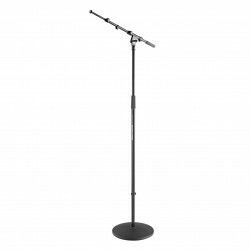 This compact overhead microphone stand is now even lighter and more stable. Thanks to a new leg combination and a new clamping element, its weight has been reduced to 3.6 kg. The leg base diameter of 1 m affords stability and safety. A range of different boom arms can be attached using the 3/8" thread adaptor. 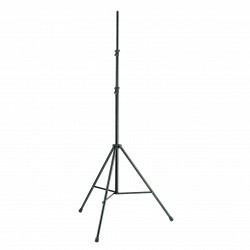 The stand extends to a height of over 3 m.
Extra low design for bass drums or special use. Comes complete with boom arm. Attractive gray Soft-Touch powder coating. Medium high stand with a heavy cast iron base for maximum stability. Well suited for microphoning amps, percussion, and string instruments etc. The circular rubber insert ring filters foot step sounds and reduces the transmission of unwanted sounds. Sleek adjustable clutch for easy height adjustment. Low stand with a heavy cast iron base for maximum stability. Well suited for microphoning amps, percussion, etc.The circular rubber insert ring filters foot step sounds and reduces the transmission of unwanted sounds. Sleek adjustable clutch for easy height adjustment. 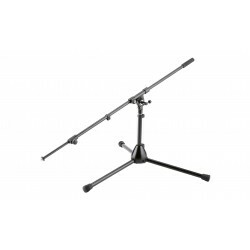 Low profile round-base mic stand with telescopic boom arm, designed for bass drums and acoustic instruments. Heavy cast-iron round base, with anti-vibration rubber insert for noise filtration. Extra low design for bass drums or special use. Very short and heavy legs provide maximum stability. Legs are foldable for easy transport. Comes with two-piece boom arm 21140. Extra low design for bass drums or special use. Die-cast base with folding legs. Comes complete with boom arm. 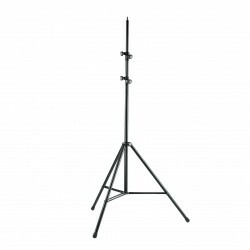 Low-level stand with folding base, complete with long, 2-piece extendable boom arm. Significant Stand Point! The larger tubing reaches a height of 1.7 m and as such is well suited for taller individuals. The new star in your show! The avant-garde, one-hand microphone stand is setting new standards in design and function. The elegant combination of triangular-shaped sections and the new design of the slender one-hand adjustment mechanism go harmoniously with standard microphone clips and microphones. 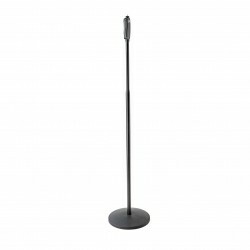 Perfect presentation and function: this heavy duty, large round base microphone stand is impressive both for the studio and on stage. The robust and tall tubing combination with the slim clutch provide a very tight and secure connection. Cast-iron round base, with anti-vibration rubber insert for noise filtration. Attractive gray Soft-Touch powder coating.